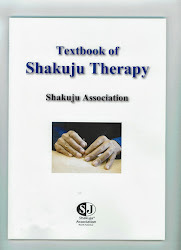 Two-days Shakuju therapy seminar was held in Chiba last weekend. 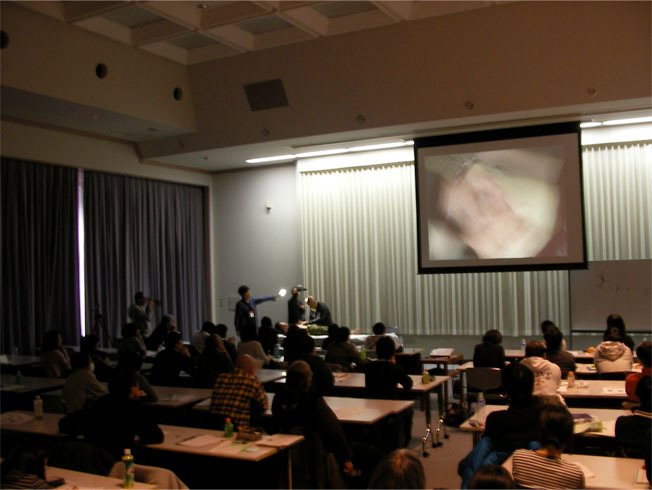 This two-days workshop has been held annually since 1997. Many acupuncturists and acupuncture students who have been doing Shakuju therapy gather to attend Kobayashi Sensei's lecture. In clinical practice sessions, Kobayashi Sensei introduced the new supplemental treatment using points between toes. Answering the question from participants, he explained that it is a very useful and effective treatment for symptoms such as a sprain, but put stress on the importance of back shu points for the fundamental treatment rather than using the handy supplemental treatment as usual.